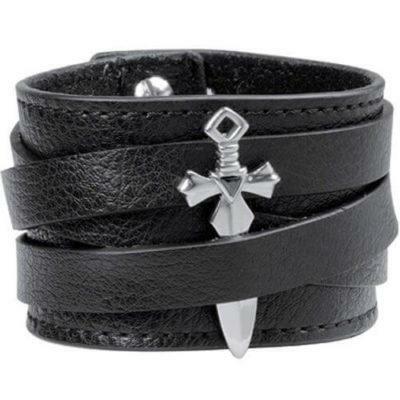 Stylish black leather wristband with stainless steel dagger adornment. The leather wraps around the dagger, creating a cool effect. Great for outdoor concerts, music festivals, clubbing, and gothic or punk fashion.